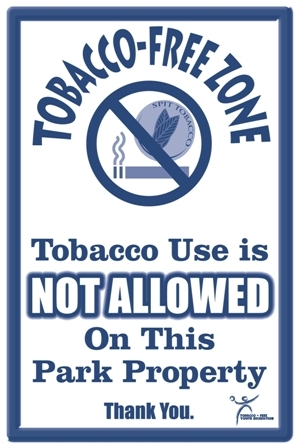 The Oak Grove Optimist Park is a Tobacco Free Park. The Optimist Park also does not allow Pets, Skateboards, Bicycles, Ripsticks, Scooters or similar items. No outside coolers or food allowed other than a smaller cooler for the dugout only. Please park in designated spaces and do not park in Handicapped spaces unless you have a valid handicap tag. Also, do not park in spaces blocking the walkways and entrances to the fields. THE OPTIMISTPARK HAS A LIGHTING DETECTION SYSTEM AND WE ASK THAT YOU ADHERE TO ANY WARNINGS THE SYSTEM MAY GIVE REGARDLESS OF HOW CONDITIONS MAY APPEAR TO BE. PLEASE USE COMMON SENSE WITH ANY INCLIMENT WEATHER. The THORGUARDIAN is the first, totally integrated advance warning system for lightning. The sensor continuously monitors the atmosphere's electrostatic energy and evaluates the potential for lightning within an area of approximately 2 miles in radius. When the system determines a hazardous condition, the air-horns and strobe light provide necessary alerts. 2. When the system detects a high probability of lightning the alert horn will sound and the strobe light will come on and stay on. 3. Once the alert horn has made the warning, the system begins a 10 minute count down. If conditions are cleared during that time frame the system will give an all clear, if not the system will continue to recycle the 10 minute count down process. 4. Once an “all clear” condition is established by the system it will give three back to back horn blasts and the strobe light will go off. REGARDLESS OF THE HORN, IF THE STROBE LIGHT IS ON STAY OFF THE FIELDS! The best place to wait out the storm is in a nearby building or Vehicle. Do not wait in the Dugouts! Please note that this is the same system that is used by the PGA, the Olympic organization, & other professional sports organizations. We should not put our children in harms way based on personal judgment for the benefit of playing a game. For reference the system is made by Thor Guard and info can be found at www.thorguard.com.